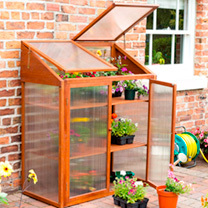 This durable mini greenhouse is made from high quality FSC eucalyptus hardwood timber with tough twin-walled polycarbonate glazing for safety. 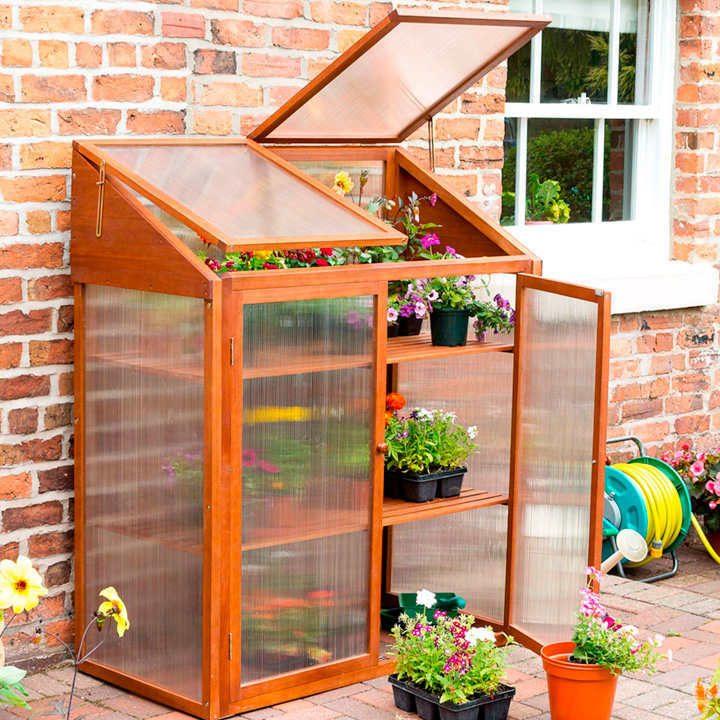 It has two opening front doors, polycarbonate back, two storage shelves and two lifting lids with lid stays with adjustable height settings for carefully controlled ventilation. Flat packed for easy home assembly. Assembled dimensions: 120cm (48") wide x 62cm (25") deep x 144cm (57") high. Perfect for flower or veg plants!